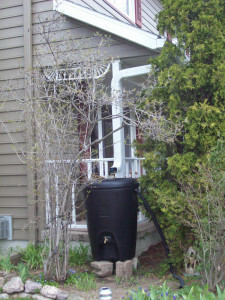 The installation of a rain barrel in addition to a new seamless gutter system at your home in Edgewood, New Mexico, or a surrounding area, is a useful method to collect non-potable water that can be repurposed to keep your grass and foliage healthy throughout the seemingly endless dry periods experienced throughout the year. Thankfully, the experts at ABC Seamless of Albuquerque are able to install these feature-rich rain barrels to allow you to begin collect rain water during the rare moments of intense rain. Additionally, to make the most of your new rain barrel it is important that you also have a seamless gutter system installed at your home. With seamless gutters from ABC Seamless of Albuquerque you will be able to prevent blockages from occurring that tend to occur at the seams found on traditional gutters. And, seamless gutters are strong enough to ensure that you will no longer need to worry about gutters that crack, break, or leak. For more information about the gutter system and rain barrel options available to residents of Edgewood, NM, and the surrounding areas, contact ABC Seamless of Albuquerque today. When you do, make sure to ask about the financing options we offer to qualifying homeowners.